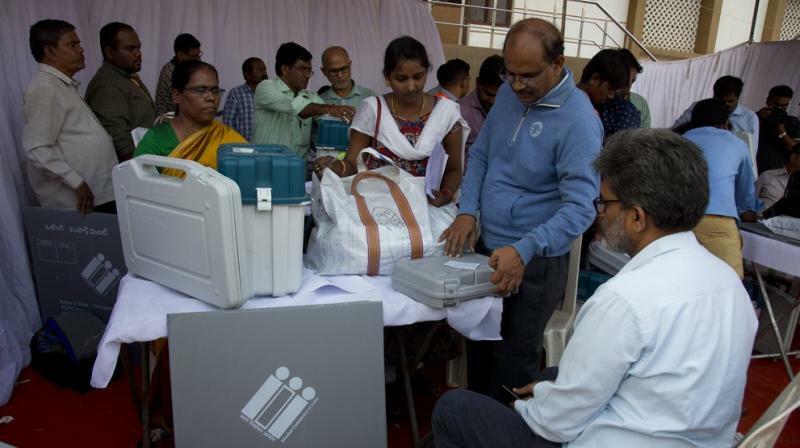 Rajahmundry: Even as a large number of voters turned up at polling stations from the early hours of the day to vote, malfunctioning of EVMs delayed the conduct of polling by one or two hours at several polling stations forcing the voters to wait in long queues under the scorching heat causing hardships to them in several parts in the Godavari districts. In a bid to avoid waiting in long queues for several hours and also to escape the sweltering heat, several voters began arriving early at polling stations to cast their vote. But to their surprise, they were forced to wait in the queue.